I came home from Alaska with these luscious peonies – and it seemed as if no other flower could compete for room in the vase. 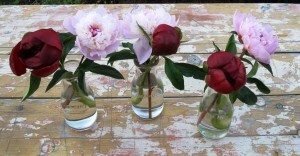 Peony harvesting and design: Cut peonies during the coolest part of the day. According to Dr. Holloway, “Cut once you see the true color of the flower with one or two petals separating at the top – or any time after that. Then, the flower will continue to open in your arrangement.” If you cut prior to this stage the buds either will not open or they will be stunted. Fully-opened blooms can also be harvested, but their vase life is shorter. 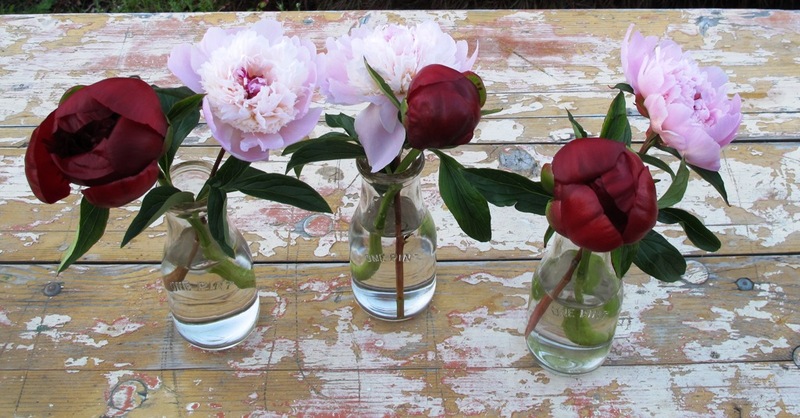 Based on years of peony research and field trials, Dr. Holloway offers this commercial growers’ tip: “Once cut, your flowers should be chilled in the refrigerator for at least 24 hours and up to one week before putting them into a vase. 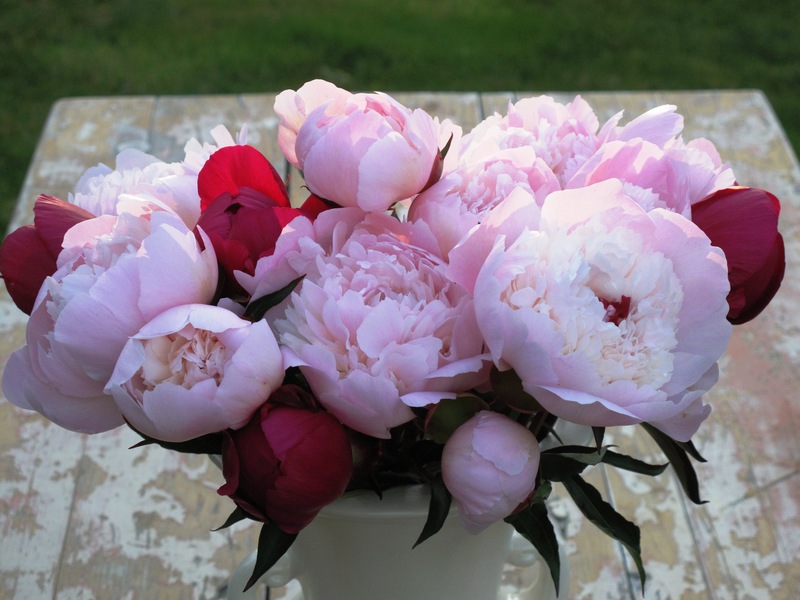 That chilling very definitely extends vase life.” Wrap the peonies in paper towels and lay them flat in the crisper drawer, away from the refrigerator’s other contents until use. This entry was posted on Monday, August 5th, 2013 at 7:52 am	and is filed under American Grown, Creativity, floral design, Gardening, General, Plants, Slow Flowers: 52 Weeks, Writing. You can follow any responses to this entry through the RSS 2.0 feed. You can leave a response, or trackback from your own site.